"Oppose Trump-Republican tax plans that give huge tax breaks to millionaires and wealthy corporations, paid for by cutting Social Security, Medicare, Medicaid, education, medical research, Meals on Wheels and road repairs. We need real tax reform to make sure the wealthy and big corporations pay their fair share." - This plan lowers the tax rate on the highest earners and raises the lowest tax rate. - This plan will add trillions of dollars to the U.S. deficit, despite the Republican insistence that they are the anti-deficit party. - The entire premise of these huge tax cuts—that they will spur job creation and other economic activity by companies, which will benefit the vast middle class of workers—has been disproven in practice. It doesn’t work! What companies have been shown to do after huge tax cuts is to buy back their own stock, raising their stock price and giving a raise to their executives. What does this do for average workers? Less than nothing. But those executives will now have to pay even less taxes on the raises they are certain to give themselves, so that’s nice. - This plan repeals the estate tax, which only applies to couples with estates worth more than $11 million—the top 0.2% of richest people in America. This repeal alone would save Donald Trump’s family and the family of several of his cabinet members hundreds of millions of dollars each. - This plan will allow many rich business owners to lower their own tax rates from nearly 40% to 25%. - This plan will funnel hundreds of billions of dollars into the pockets of the rich at a time of persistent and growing inequality. The richest 1% of Americans now control almost 39% of our nation’s wealth, up from 36% just four years ago. The Republican tax plan will make the concentration of wealth worse, not better. - The president and his top officials are lying about the effects of this tax plan to the public. Lying. Telling stone cold lies. Provable untruths. Lies. - Sorry to repeat this one but HUNDREDS OF MILLIONS OF DOLLARS THAT WOULD HAVE GONE INTO THE PUBLIC TREASURY WILL INSTEAD GO INTO THE POCKETS OF THE TRUMP FAMILY AND THE FAMILIES OF HIS CABINET MEMBERS. ... - The president and his top officials are lying about the effects of this tax plan to the public. Lying. Telling stone cold lies. Provable untruths. Lies. "It's not good for me. Believe me." - Donald Trump on his tax plan. I'm not insulting Trump voters when I call them gullible delusional submoronic inbreds. Believe me. An analysis of whether he has ever said, "Believe me," and not been lying would be interesting. Write your Representative today! 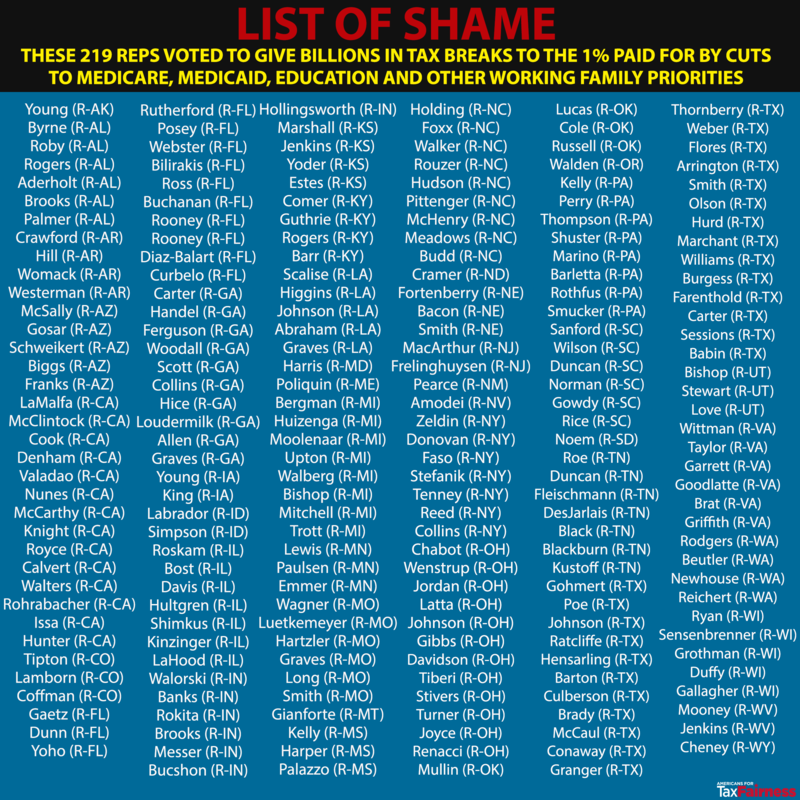 Tell them to vote NO on the Trump-Ryan tax and budget plan. In February 2012, JP Morgan-Chase agreed to pay $5.1B in restitution for its mortgage fraud, which included widescale foreclosures on people who were not even Morgan-Chase customers -- the company forged documents that allowed them to seize random houses and sell them out from under their owners on the strength of "robo-signed" paperwork produced by sleazy boiler-rooms where untrained people rubberstamped paperwork after less than 3 seconds' worth of scrutiny. The $4.2B that Morgan-Chase was supposed to pay in kind was to come in the form of debt forgiveness to borrowers who were about to lose their homes, but rather than do this, Morgan-Chase found a way to forgive the loans of people who didn't owe Chase any money (! ), and to pull a list of other baroque cons that threw cities into chaos and revictimized people who'd lost their houses due to Morgan-Chase's brutal foreclosure policies. Not prosecuting the bankers that caused the Shrubcession. Not prosecuting war crimes including torture. and making the Bush tax cuts for the rich permanent before the people fully understood the reason they were temporary and that they had failed miserably. This democratic party ain't the liberals we used to be. Your 2 definitely had a big impact, bigger than all of mine except maybe Vietnam, opps Afghanistan. To me, the complexity of how they came about make including them a bit iffier. Daphne Caruana Galizia, the journalist who led the Panama Papers offshore tax evasion expose, was assasinated yesterday by a car bomb in northern Malta. She also wrote an expose of the Maltese Economy minister and his consultant visited a brothel in Germany while on government business. Her son is also a journalist and wrote stories linking Maltese politicians to the Panama Papers. They were not pleased. Looks like the entire car was blown at least 8 yards by the blast. Maltese perps would seem the most likely, but could have been anyone from scores of countries including the US. The latest attack on poor people, from Mississippi: Unpaid court fees? You can't see your children - including newborns - until you pay up. Tell the FCC: Block the Sinclair-Tribune Merger! You mean the candy that she got for free out of the goodness of strangers' hearts? I think sharing with those that are less fortunate than you is a universal human value. Perhaps you could (teach) her that. We had candy left over. My daughter asked to take it to school to share w/kids whose families don't have $ for luxuries. I'm a socialist. Better idea: have her take out loans, use the money to buy and eat candy, then default and declare bankruptcy. That's the Trump way. Man who inherited money from his father, who inherited it from *his* father, has lessons on making it on your own. 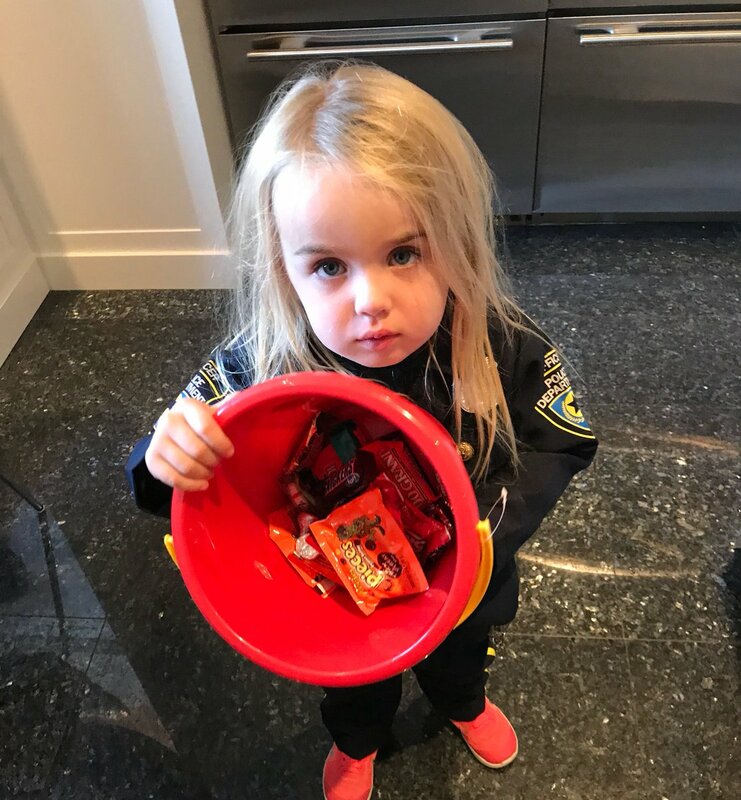 Fill her bucket with old candy left by her great-grandfather, then explain that she has more because she's smarter than all the other kids. "On Tuesday, the FCC eliminated a requirement for broadcasters to keep a local studio. A day later, Pai called for easing ownership restrictions, potentially taking pressure off Sinclair’s $3.9 billion deal for Tribune Media Co.’s TV stations. Earlier, he had restored an obsolete rule, making the deal possible.